Appetite for risk in this holiday shorted week starts on the low side with Euro and Asia equities under pressure in their respective sessions, along with U.S futures, as an uncertain outlook for global trade and growth continues to inhibit investor appetite. Data on the weekend showed that the world’s second largest economy, China, grew at its slowest pace (+6.6% y/y) in nearly three-decades in 2018, while yesterday, the IMF cut its forecasts for global economic growth this year to +3.5% from October’s +3.7% and from the +3.9% it had expected last July. They indicated that “global expansion has weakened,” dragged down by poor performance in Europe and some emerging markets. However, data stateside is beginning to be pressured by the Sino-U.S trade dispute and the ongoing partial U.S government shutdown. On Tap: U.S earning season remains in full swing, the Bank of Japan (BoJ) meet later this evening, which European Central Bank (ECB) monetary committee meet Thursday. Davos day 1 begins this morning. In Japan, the Nikkei edged lower overnight, retreating from a one-month high print Monday as investors took profits from recent gainers amid concerns about slowing economic growth. The index shed -0.47%, after Monday’s record print, while the broader Topix lost -0.6%. Down-under, Aussie shares ended a five-day rally on weak financials and mining stocks. The S&P/ASX 200 index fell -0.5%. The benchmark rallied +0.2% on Monday. In S. Korea, the Kospi stock index closed weaker as data showed weakening exports had hit last year’s annual pace of growth to a six-year low, while global growth worries darkened investor outlook. At the close, the index ended down -0.32%. In China, equities fell overnight as investors braced for a tough start to the New Year amid weak economic outlook domestically and abroad. At the close, the Shanghai Composite index fell -1.2%, while the blue-chip CSI300 index fell -1.3%. In Hong Kong, it was a similar story, at the close of trade, the Hang Seng index was down -0.7% and in line with a broad retreat across the region as profit-takers took control. In Europe, regional bourses trade lower, following a negative session in Asia and negative U.S futures as macro developments remain in focus. U.S stocks are set to open in the ‘red’ (-0.6%). Ahead of the U.S open, oil prices are under pressure on signs that an economic slowdown in China, the world’s second-largest economy and oil consumer, is spreading, fuelling worries over future fuel demand. Brent oil futures are at +$62.26 per barrel, down -48c, or -0.8%, from Monday’s close, while U.S West Texas Intermediate (WTI) crude futures are at +$53.43 per barrel, down -0.7%, or -37c. To date, China’s crude import numbers have so far resisted China’s economic slowdown, hitting a record above +10M bpd in Q4, 2018, but many now believe that the world’s second largest economy may be experiencing “peak energy growth,” with its demand set to reduce as the slowdown takes a deeper effect. Note: The combination of production cuts by OPEC+, especially the Saudis, and tightening sanctions on Iranian oil exports is trying to bring the market close to equilibrium. With the “big” dollar in demand, the precious yellow metal comes under pressure. Gold prices are hovering atop of their new three-week low touched yesterday, as a strong dollar limits gains. Spot gold is mostly unchanged at +$1,279.68 per ounce, after touching its lowest since Dec. 28 at +$1,276.31 on Monday. U.S. gold futures have fallen -0.3% to +$1,279.40 per ounce. Eurozone government bond yields trade a tad lower as investors continue to remain cautious over Brexit developments, as well as expecting the ECB to mention growth concerns at Thursday’s meeting – a more “dovish” statement than currently priced in. Data on the weekend showed that China’s economic growth slowed to a 30-year low in 2018, while yesterday, the IMF trimmed its’ 2019 and 2020 world growth forecasts – citing Italy as one of the main risks to growth because of its spending plans. The 10-year German Bund yield trades at +0.183%, down about -2.5 bps. Note: Eurozone futures pricing suggests that the market is pricing roughly a +40% chance that the ECB will raise its deposit rate +10 bps by the end of this year. It is now minus -0.40%. Elsewhere, the yield on U.S 10-year Treasuries sank -4 bps to +2.75%, the largest tumble in more than a week. In the U.K, the 10-year Gilt yield dipped -2 bps points to +1.3%, the lowest in a week, while in Italy, 10-year BTP yield fell less than -1 bps to +2.756%. Some risk aversion has eased back into the market and is helping to support the ‘big’ dollar atop of its three-week high prints. 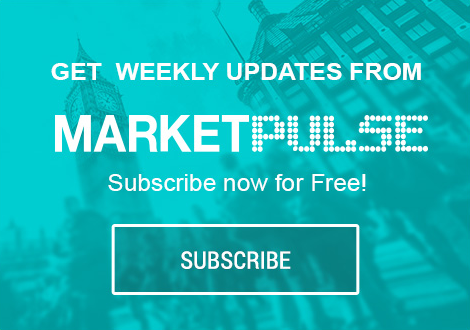 GBP/USD (£1.2914) was initially trading on the softer side as the market noted that PM May’s plan B looked a lot like the failed plan A and did little to clarify the governments future Brexit plan. The pair continued to find support in the lower part of the £1.2850, however, better employment data (see below) supported sterling’s positive sentiment with the pair trading above the psychological £1.29 level ahead of the U.S open. USD/JPY (¥109.43) is a tad lower by -0.3% on some interesting safe-haven flow trading at ¥109.45-55 area. The markets focus now shifts to the Bank of Japan’s (BoJ) rate decision later this evening, but no changes are expected. Data this morning showed that the U.K economy continued to add jobs last year, despite the uncertainty facing businesses over the way the country will leave the E.U. The ONS said today that the number of people in work in the three-months through November was up +141K, raising the employment rate to +75.8%, a record high. More people were looking for work, and the number of unemployed rose by +8K vs. the previous three-month period, although the jobless rate stayed at +4.0%, its lowest level for four-decades. With vacancies at a joint record high (+853K) employers raised wages by +3.4% y/y, and since pay rose faster than consumer prices, real wages were +1.2% higher, the largest increase in two-years. Governor Carnet at the Bank of England (BoE) still expects a tightening labor market to push wages higher and keep inflation above its target over coming years, signaling that it intends to lift its key interest rate gradually and to a limited extent.